In this conclusion to L’Engle’s Time Quintet Polly O’Keefe and Zachary Grey find themselves trapped in a tesseract that allows them to step back in time 3000 years. In the past, they meet The People of the Wind and The People Across the Lake, two primitive societies with differing belief systems. Zachary, who has been told he will die of his heart condition, seeks to be cured by one of the tribe’s healers, while Polly tries to make him understand that the price for this treatment might be her own life. Like A Swiftly Tilting Planet, this muddled novel was very difficult for me to finish. Polly, who was so emotionally compelling in A House Like a Lotus, is back to her boring Dragons in the Waters self, and Zachary, who has never been interesting, is even less so now that he thinks he is dying. The cast of characters the pair meets 3000 years in the past are not very well differentiated from one another, so I couldn’t keep track of them, and I couldn’t find a reason to be invested in their fate. The Murry grandparents, with whom Polly is staying, who have formerly seemed like courageous and encouraging people, spend this entire book overprotecting Polly and acting like they can’t believe time travel is happening in their own backyard. There is very little consistency in L’Engle’s characters from book to book, anyway, but this is one of the more egregious examples of that problem. I enjoyed the feeling of things coming full circle that was created by the return of Polly to the place where her mother and later her uncles experienced their own adventures with time, but I was disappointed when L’Engle didn’t somehow bring all those experiences together to mean something greater. 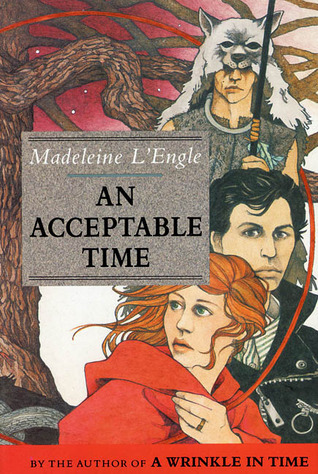 It’s very obvious from this story that L’Engle didn’t set out to write a series, and based on how flat this book fell for me, I almost wish she hadn’t!